Iran’s Supreme Leader Ayatollah Ali Khamenei warned of repercussions after Saudi Arabia executed a prominent Shiite cleric critical of the kingdom’s Sunni rulers. 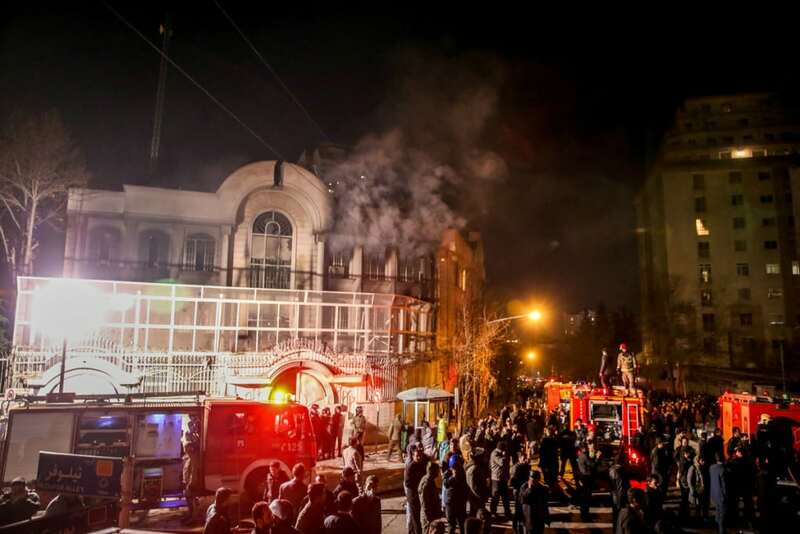 Iranian protesters armed with rocks and firebombs attacked the Saudi embassy in Tehran on Saturday and set parts of the building on fire after the execution of al-Nimr, an outspoken critic of the kingdom’s treatment of its Shiite minority. A small group stormed the premises and several people were arrested, Tehran police chief Hossein Sajedinia told the state-run Islamic Students’ News Agency. Al-Nimr’s execution and the ensuing protests further strained ties between Saudi Arabia and Shiite-ruled Iran. The two regional powers are on opposite sides of Middle East conflicts from Syria to Yemen. Saudi Arabia is also concerned about Iran’s growing influence after last year’s nuclear accord with world powers. The cleric was one of 47 executed across Saudi Arabia on Saturday for terrorism-related offenses. The men were convicted of crimes including bombings that targeted the traffic department and interior ministry in Riyadh, plots to attack military airports, and other strikes on security forces.